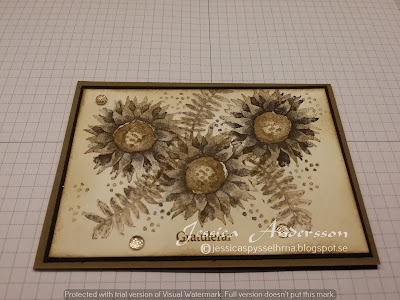 Today´s card is inspired by a card I saw on Pintrest, a sepia colour card. I am using the colours Soft Suede, Black and Very Vanilla. 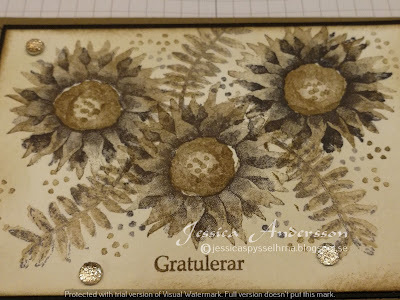 On the Very Vanilla layer I added Soft Suede ink with a Stampin Sponge to age the card. 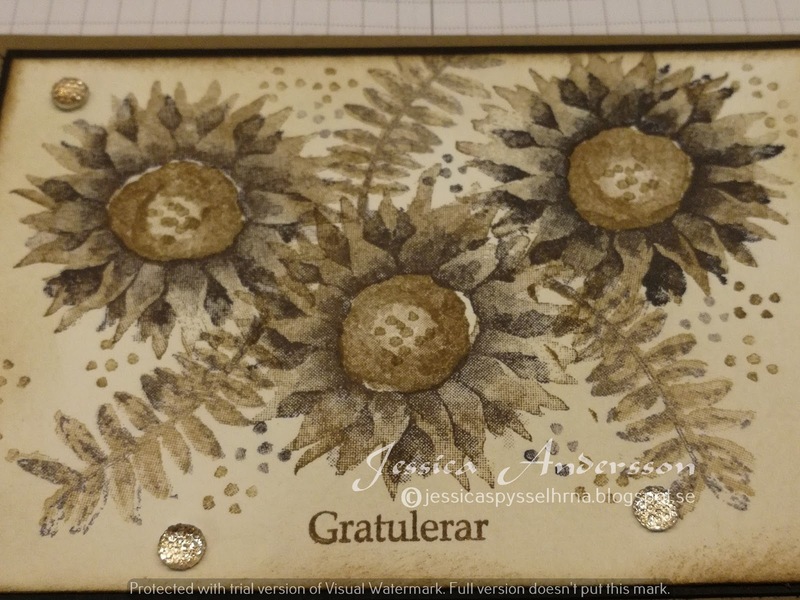 The sunflowers are stamped with Soft Suede and Black ink. The leaves are stamped with same colours but are stamped off once before I stamped them on the card. I added some Gold Faceted Gems. The sentiment is from InkyWings and says Congratulations in Swedish.